Do you realize cockroaches can produce 10,000 offspring in one year? Cockroaches use the tiniest crack or crevice to get into your home. Attracted to warm, moist environments, cockroaches spend the daylight hours in dark, secluded areas like under the refrigerator, or under your stove, or even in the back of your kitchen cabinet. At night they leave their nests to forage for food and water. Remember, if you see one cockroach in the daytime, you know there are many more you don’t see. It is estimated cockroaches have been around for 40 to 50 million years. As scavengers, cockroaches eat anything organic. They prefer starches, sweets, grease and meat products, but also feed on cheese, beer, leather, glue, hair, starch in book bindings, and flakes of dried skin or decaying organic matter. There are about 50 different species of cockroaches in the United States. The most common in Florida are the American, the German, and the Florida Woods roach. Controlling cockroaches in and around your home begins with basic sanitation. First, eliminate the sources of food and water for the cockroaches from the environment. Don’t leave dirty dishes in the sink or dishwasher overnight. Keep leftovers in the refrigerator or in containers with tight-fitting lids. Keep pet food in tightly sealed containers, and avoid leaving food in the pet’s bowl overnight. Empty the garbage daily and keep outside containers covered, especially at night. Check and clean the evaporation pan under the refrigerator or freezer once a month. Twice a year pull the stove and refrigerator out and clean behind and underneath, taking care for any drips or spills down the sides of the appliances. However, once cockroaches have gone unnoticed for weeks or months, getting rid of them becomes an overwhelming task. To successfully exterminate roaches from your home, you must include a customized infestation plan. Be prepared to call professional help that is knowledgeable and will handle your pest control problem thoroughly. Magnum Termite and Pest Control serves the Central Florida area to assist with cockroach infestations and many other pest control issues. 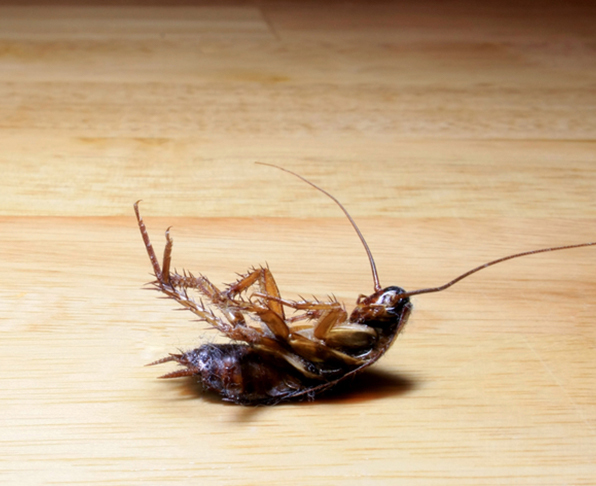 We realize you work hard to create a clean, relaxing home that is free from problems like roach infestations. No matter how hard you try, sometimes the bugs just find their way in and before you realize it, you’re invaded. 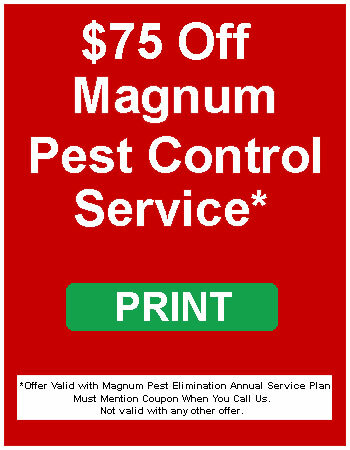 Magnum Termite & Pest Control offers thorough, customized cockroach treatments. Remember, cockroaches breed and produce offspring about every 50 days. When you see even one cockroach today, you must get professional help.